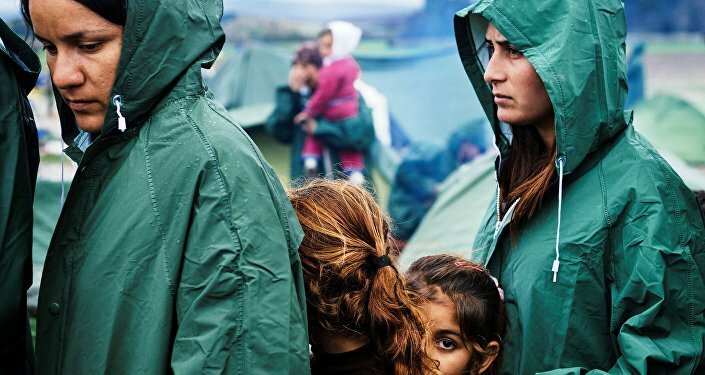 Last week, European countries announced that they had reached an agreement with the Turkish government aimed at slowing the influx of refugees. For his part, French political analyst Thierry Meyssan suggests that in making this deal, Europeans "are preparing the foundations for a vast confrontation of which they will themselves be the victims." On Friday, the heads of 28 EU states announced that they had reached an agreement with Ankara on 'irregular migrants' arriving in Greece, who would be returned to Turkey and swapped on a one-for-one basis for documented Syrian refugees, who would be admitted into EU member states. In addition to financial aid and promises to review Turkey's EU membership application, the deal included the controversial step of offering visa-free access to the EU for Turkish citizens, which would allow them 90 days' freedom of movement in Europe, something critics have warned member states would be unable to control. Perhaps among the most outspoken independent critics of the deal is independent French political analyst Thierry Meyssan who, in his recent article for the Voltaire Network, suggested that by signing the agreement, EU leaders have effectively "taken a step further in their pact with the devil." For starters, Meyssan warned, "a large part of the 3 billion Euros annually allotted to Ankara will serve to finance support for the jihadists, and as a result will increase the number of migrants who are fleeing the war" in Syria. Moreover, the analyst added, "by repealing the visa regulations with Turkey in the next few months, the Europeans are establishing free circulation between the Al-Qaeda camps in Turkey and Brussels." 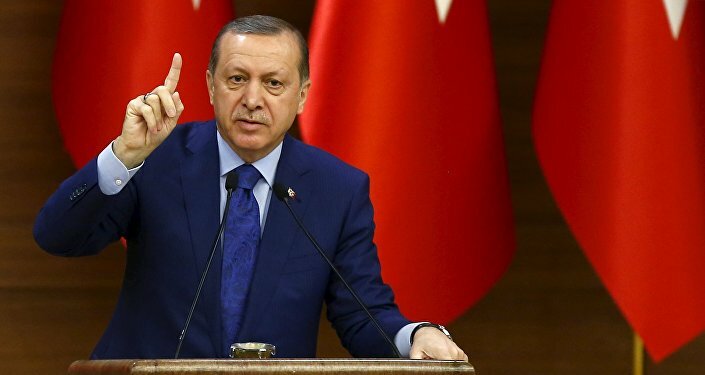 Ultimately, Meyssan suggests, "by crushing the Iraqi and Syrian people under the pressure of the jihadists whom they are indirectly financing, and abandoning the Turkish people to the dictatorship of President Erdogan, [Europe is] preparing the foundations for a vast confrontation of which they will themselves be the victims." The EU's ideological blinders in its negotiations with Turkey, the political scientist says, is what leads its politicians to "persistently [remain] one step behind" Ankara's logic. This, he adds, comes first and foremost from the fact that both ideologically and in terms of his ruling style, "Erdogan is unlike other politicians." Taking a moment to review President Recep Tayyip Erdogan's ideological roots, something he had already done in detail on numerous previous occasions, Meyssan recalls that first of all Erdogan has his roots in "the Milli Gorus, a pan-Turkish Islamic movement with connections to the Muslim Brotherhood of Egypt, and [which is] favorable to the restoration of the [pan-Turkic] Caliphate. According to him – and also to his allies," the Nationalist Movement Party, "the Turkish people are the descendants of Attila's Huns, who were themselves the children of the Steppenwolf of Central Asia, with whom they share endurance and cold-heartedness." Milli Gorus' ideology, the analyst notes, promotes the idea of Turkish racial superiority, with an Islamic bent. Moreover, "President Erdogan is the only head of state in the world who proclaims an ethnic supremacist ideology, perfectly comparable to Nazi Aryanism. He is also the only head of state in the world who denies the crimes of history, notably the massacres of non-Muslims by Sultan Abdulhamid II (the Hamidian massacres of 1894-95 – at least 80,000 Christians murdered and 100,000 Christians incorporated by force into the harems), then by the Young Turks (the genocide of the Armenians, the Assyrians, the Chaldeans, the Syriacs, the Pontic Greeks and the Yezidis, from 1915 to 1923 –at least 1,200,000 dead)…"
At the same time, Meyssan notes, Erdogan, "who is supported by only one third of the population, governs his country alone and by force. It is impossible to know precisely what the Turkish people are thinking, because the publication of any information questioning President Erdogan's legitimacy is now considered as an attack on state security, and leads immediately to prison." Moreover, "if we refer to the latest studies published, in October 2015, less than one third of the electorate supports him." Erdogan, the analyst writes, "was only able to win the [November 2015] general elections by means of outrageous trickery." This included the gagging of opposition media, state channels broadcasting materials heavily favoring the ruling Justice and Development Party, Saudi Arabia pouring in 2 billion euros worth of funding aimed at ensuring Erdogan's victory, thugs attacking over a hundred political headquarters from the left opposition Peoples' Democratic Party, and police arresting and detaining dozens more opponents during the campaign. "Since Erdogan's 'election', an iron veil has fallen over the country. It has become impossible to find information concerning the condition of Turkey in the national press. The main opposition daily, Zaman, has been placed under supervision and now restricts itself to praise of the greatness of 'Sultan Erdogan. The civil war, which is already raging in the east of the country, is spreading, by means of terrorist attacks, to Ankara as far as Istanbul, to the total indifference of the Europeans." Only last week, Meyssan recalls, "President Erdogan declared that as far as the struggle with the Kurds was concerned, [saying that] '…democracy, liberty and the rule of law no longer have the slightest value'. 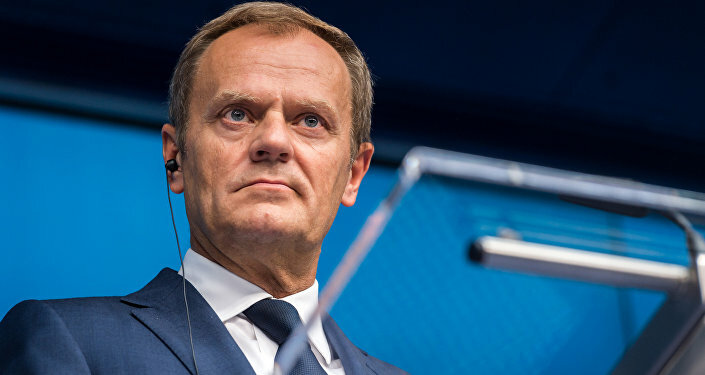 He announced his intention to expand the definition of 'terrorist' to include all those who are 'enemies of the Turks' – in other words, those Turks and non-Turks who are opposed to his supremacy." Finally, the analyst noted, "President Erdogan uses powers which he has given himself –anti-constitutionally – to transform the Turkish state into the grandfather of international jihadism. In December 2015, the Turkish police and legal system were able to establish the personal connection between Mr. Erdogan and his son Bilal with Yasin al-Qadi, Al-Qaeda's global banker." Subsequently, Erdogan "fired the policemen and magistrates who had dared to 'damage the interests of Turkey'." Meyssan notes that amidst this background European governments, "panicked by the reaction of their populations against the massive entry of migrants," attempted to work out "a procedure which would leave Turkey to solve their problems for them." Brussels agreed to "pay 3 billion euros annually to Turkey to help it deal with its obligations, but with no structure for verifying the use of this funding," to end visa requirements for Turkish nationals, and to accelerate negotiations for Turkey's entry into the EU. "In other words, blinded by the recent electoral defeat of Angela Merkel, the European leaders have settled for applying a temporary solution to slow the flux of migrants, but without seeking to resolve the origin of the problem, and without taking into account the infiltration of jihadists among the refugees." Having laid out President Erdogan's ideological roots, and the lengths his governments has proved willing to go through to strengthen their hold over Turkey, Meyssan suggested that European leaders' behavior in connection with the migrant crisis is now all too reminiscent of the Munich Agreement of 1938, which allowed Nazi Germany to annex portions of Czechoslovakia, strengthening Adolf Hitler and ultimately leading Europe down the path to the Second World War. "Now, under our very eyes, the same errors are being repeated. The European elites consider the Syrian Republic to be an adversary – either they are defending the colonial point of view of Israel, or they hope to recolonize the Levant themselves and appropriate the gigantic and still unexploited reserves of gas." "They therefore supported the secret operation by the United States for 'regime change' and pretended to believe the fable of the 'Arab Spring'. After nearly five years of proxy war, noting that President Bashar al-Assad is still there despite the fact that his resignation has been announced a thousand times, the Europeans have decided to finance – to the tune of 3 billion euros per year – Turkish support for the jihadists, [and to] allow them victory and the end to the migrations." As in the case of Munich, Meyssan argues, Europe will "realize, too late, that by repealing the visa regulations for Turkish citizens, they have authorized the free circulations to Brussels from the Al-Qaeda camps in Turkey." "The comparison with the end of the 1930s is all the more pertinent since during the Munich agreements, the Nazi Reich had already annexed Austria without provoking any particular reaction from the other European states. Today, Turkey already occupies the northeast of a member state of the European Union (Cyprus), and a strip a few kilometers wide in Syria, which it administers via a specially nominated wali ('prefect')." In other words, "not only does the European let that pass, but by its attitude, encourages Ankara to pursue its annexations with no regard for international law." Ultimately, Meyssan warns, "in 1938, the European elites believed in the friendship of Chancellor Hitler; today they believe in the friendship of President Erdogan." This line of thinking, he suggests, is not only erroneous – it is dangerous as far as the European continent is concerned.